It might seem surprising for a gallery devoted to concrete art and art construit to launch its fall season with a show whose title contains three adjectives, the first of which, “expressive,” is rarely used—to say the least—when it comes to geometrical abstract art. Yet we should never forget the expressive dimension sought by the artists themselves : “Creativity is the expression of all that is within us,” wrote Auguste Herbin. The history of abstract art in post-war France was largely shaped by the press through loud polemics for or against, through successive manifestos, and through partisan forums. 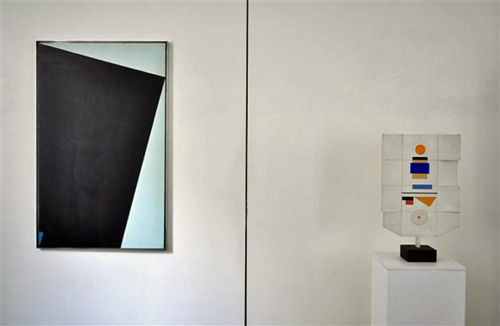 During the 1950s abstract art split into two camps, lyrical and geometric, the latter being described as “cold” compared to the former. This pejorative label established a convenient, easily graspable division with a specific vocabulary for each side : expressive for lyrical artists, constructive for geometric artists. Today, however, historical and critical hindsight, combined with the many resources now available—notably the artists’ own archives and writings—enable us to see the movement in a different light. From this angle it no longer appears scandalous to assert that artists who chose the geometric idiom were expressing their individuality or were striving for a vibrant art that resonated with the universe. It’s no longer scandalous because that’s exactly what the artists themselves said. The cosmic side of Victor Vasarely, the naturalist quality of Jean Leppien, the vibrant dimension of Olle Baertling, the Florentine feel of Alberto Magnelli, and the baroque twist to Jean Dewasne can no longer be overlooked. One can be a constructive, purely geometric artist yet still be expressive ; there is no contradiction, as a glance at the artists’ work and writings will confirm. This show, featuring the work of nine artists of different temperaments and generations, demonstrates as much. 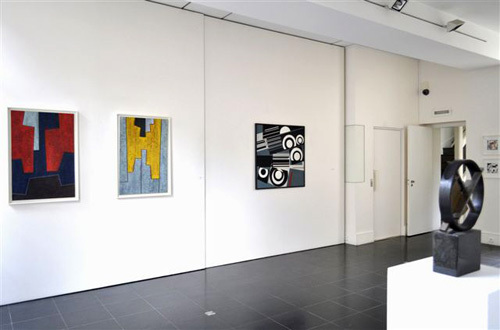 It provides a broad panorama of a history of geometric abstract art. 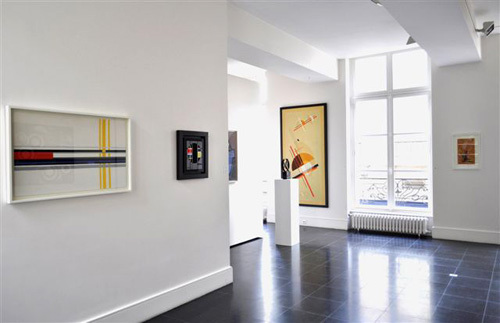 Neoplasticism is well represented through works by key artists Felix Del Marle and Jean Gorin, as is the concrete art movement and groups such as Abstraction Création, Salon des Réalités Nouvelles, Atelier d’Art Abstrait (founded by Jean Dewasne and Edgard Pillet), Groupe Espace, and Groupe Mesure (through Georges Folmer). The nine artists on show all actively participated in one or several of these trends, all united by the same desire to contribute, through their artworks, to the ongoing construction of Modernism. 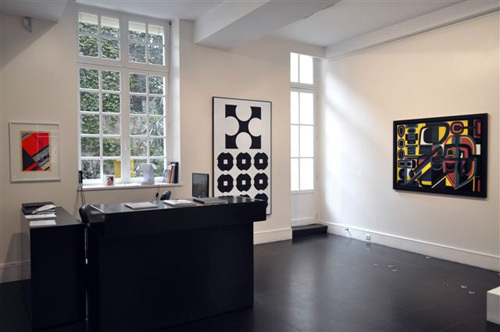 They sought to transcend individuality, attaining collective well-being by inscribing their works into the public sphere and local places—Baertling in Stockholm’s new city center, Pillet at Tours and in many public buildings in France and Africa, Vasarely at Montparnasse (Paris), Tel Aviv, and Caracas, Dewasne at La Défense (Paris), Hanover, Copenhagen, and Rome, Emile Gilioli in Grenoble and on the Plateau des Glières, and so on. This exhibition sheds light on a historic period that prompts us to ask what remains of this spirit, in so far as there emerges, from behind it, the idea of a synthesis of the arts. In addition to the paintings and reliefs on show, the various architectural projects done by these artists during their careers testify to their commitment to reality and to society. It is indeed possible to be expressive, vibrant, and constructive at the same. Fortunately, Galerie Lahumière now shows us how that approach unites them all.